While many consider pumpking just a seasonal favorite, we here believe it is becoming much more of an evergreen staple in today's society. 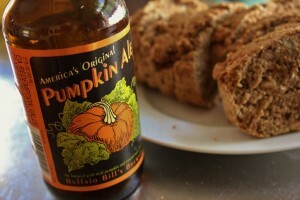 This is an easy, yet delicious recipe for pumpking beer bread which you can bring to a potluck, a family gathering or even a work function. No matter the function, this festive pumpkin beer bread will do the trick - we promise.